Luckily Nassau is one of those towns that offers interesting points of attraction. You will see forts, 17th and 18th-century buildings that are still in use and learn plenty of facts in any one of the museums in the town. Besides that, a tour of downtown Nassau will bring you to its famous straw market for all your authentic Bahamian shopping needs. And to Arawak Cay for all the delicious local cuisine. Check out the Queen’s staircase located downtown at Fort Fincastle. 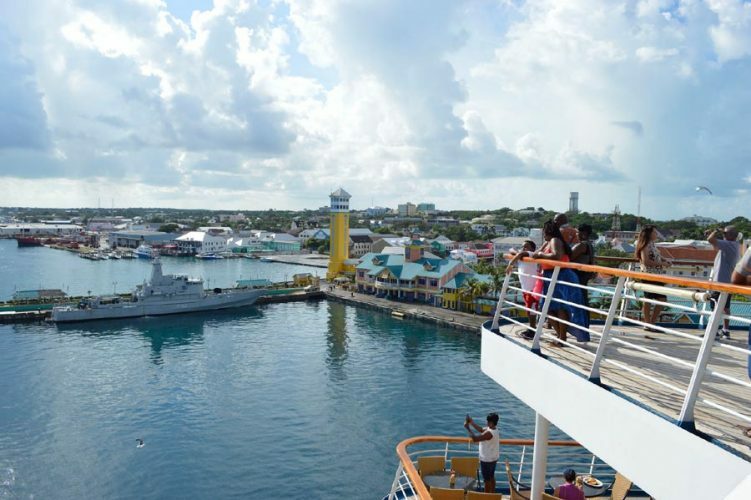 It’s one of the most popular landmarks in Nassau. 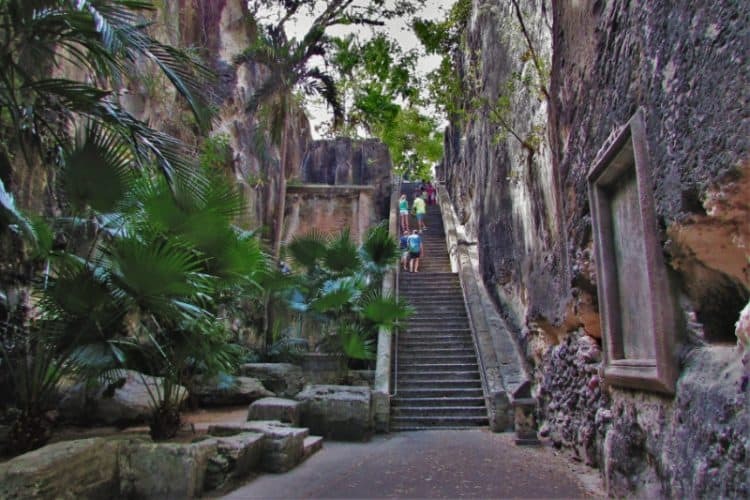 Also known as 66 steps, the staircase was carved out of limestone rock by slaves in 1793. It was used as the main route between the fort and Nassau town. This beautiful attraction has been overtaken by marshy vegetation such as ferns, moss and looks like a lost Caribbean wonder. Which makes it the perfect place for some great photos, and also an escape from the intense Caribbean sun. Fort Fincastle which was built in 1793 overlooks Nassau from atop Bennett’s Hill. This is the highest point on the island and visitors can explore the much intact structure. The fort was built with the same limestone as the nearby Queen’s Staircase. It has 126 foot high walls along with replica cannons. The fort is open all week and cruise passengers can actually walk there without booking a tour. it is also easy to get a taxi ride direct from the cruise port. You will need to pay for a ticket to gain entry. Parliament Square is located south of Rawson square on Bay Street, Nassau, Bahamas. The square has 3 pink and white Georgian neoclassical buildings that house the parliament and other government houses. These great buildings display early colonial architecture that’s so detailed and gorgeous to look at. After a date with the lawmakers pop into the Pirate Museum and learn about the sordid yet interesting pirate history of the Nation. Nassau is famous for having been a haven for pirates in the 18th century, where the famous Captain Blackbeard was said to rule. Visit the Pirates of Nassau Museum to learn the history of the nation’s pirates. Among the things that you will see, including a pirate ship and artifacts that depict the pirate’s way of life back then. How about a swim with some pigs, we know this is something you’ve always wanted to do! Here’s your best chance to book a shore excursion which features a 39-foot power boat. 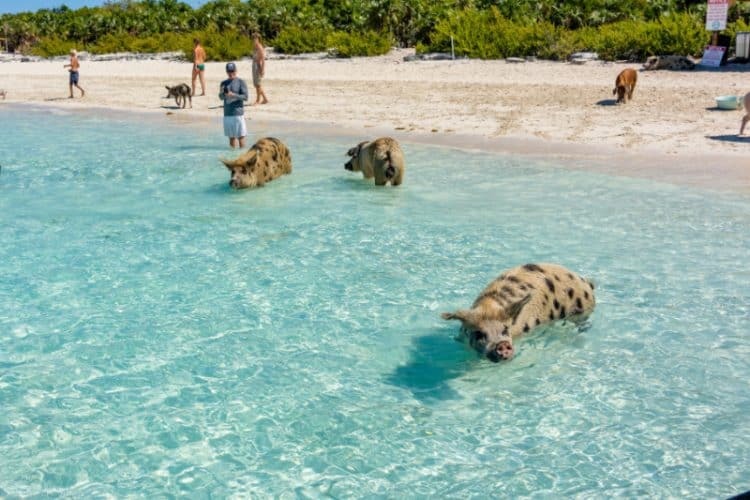 You can take a water sightseeing tour which also includes a special experience swimming with Pigs at Pig Beach. If the cruise line does not offer this tour then you can book right here. 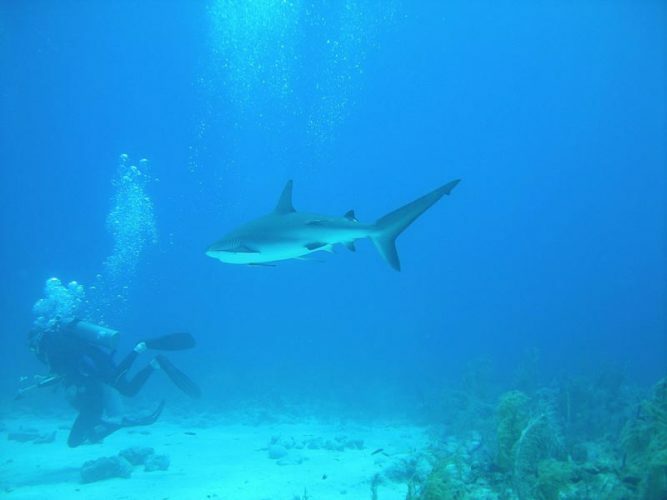 It also includes feeding iguanas, a swim with Nurse Sharks and some adventures at hidden Nassau beaches. The Public Library and Museum is based in the octagonal shaped building located on the southern end of parliament square. This building was one of the first buildings to be built in the square. It used to house prisoners but was converted into a library/museum. The cells of the prison now bear library shelves with books on them. The rest of the museum displays interesting artifacts and the history of Nassau. Visit this interesting site to learn about the history, culture, and heritage of the Bahamas. Admission to the center is free of charge. Junkanoo beach is the most popular beach which is active offering a vibrant party mood. It’s not called spring break beach for no reason. It’s also the closest beach to the ship cruise terminal. But if you are looking for a quieter, less crowded beach, then try Cabbage Beach. It is named one of the best beaches in the world. It is located on Paradise Island. This beach has a soft stretch of white sandy beach with crystal clear turquoise waters. It’s the best beach for just relaxing, sunbathing, snorkeling and swimming. The gentle sea waves make it perfect for families with young ones as well. If you want to get away from the crowds of being on a large cruise ship or the busy streets of downtown Nassau then Jaws Beach might be a good option for you. Located on the north side of New Providence Island this stunning beach is hardly ever busy and a nice way to enjoy crystal clear blue waters for pure relaxation. However, this beach doesn’t have any facilities so do take along your own food and drinks. There are also no changing rooms or anything like that. If you are going to Jaws Beach then it’s good to know that Clifton Beach is just around a 25-minute walk away and offers a place to eat. If you have an hour or more to spare in the afternoon, then visit the Ardastra Gardens. These gardens house a variety of animal and avian life. You will see monkeys, flamingos, snakes, lorikeets and other tropical animals. It’s a nice place to learn about the tropical animals of the Bahamas. You also get to interact with them by feeding some. Go especially when there are shows, like the flamingo march that displays the glorious birds in action. 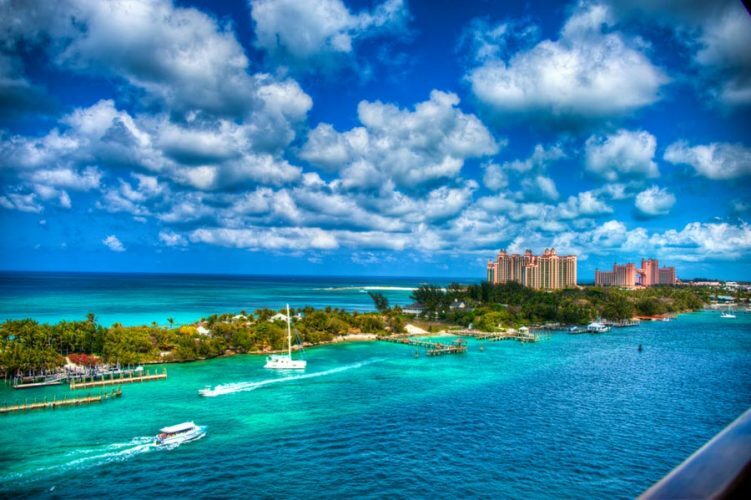 One thing you shouldn’t miss in Nassau, Bahamas is visiting Paradise Island. 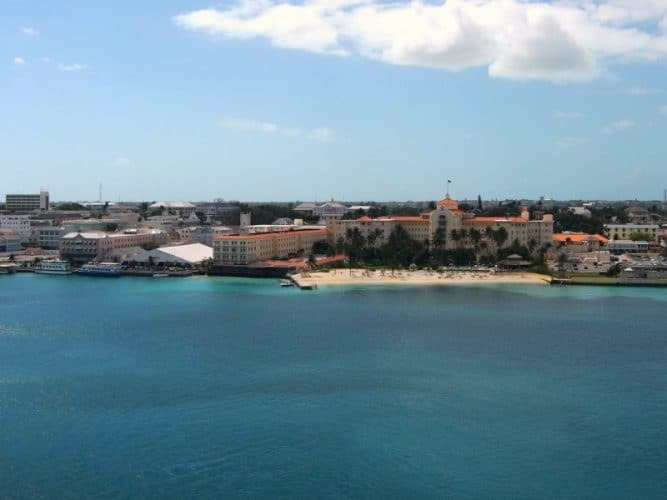 This island is connected to Nassau via two bridges. Paradise Island brags of the famous cabbage beach and the Atlantis resort. The bigger-than-the-world resort features the aqua venture water park, walk-in aquariums, 11 pools, the largest open-air marine habitat, a golf course, casino and more. This place provides fun for the whole family. A trip to this island is a must for all fun lovers. This resort has an aquapark complete with water slides built into a replica Mayan temple. Daring water slides featuring transparent water tubes that cut right through the shark’s habitat. The Adventure Water Park has an artificial river complete with rapids and waves. 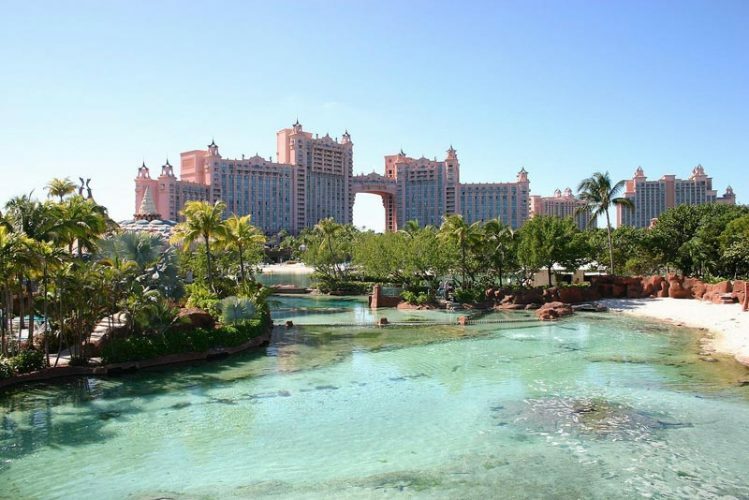 River tubing, water sliding, walk-in aquarium are just some of the amazing things to do in Atlantis. Not to mention that it’s lined with a stunning golf course on the waterfront stretching alongside cabbage beach. Arawak Cay located about 10 minutes from the cruise pier is a waterfront street lined with local eateries. It’s known as fish fry because all the restaurants there serve fish fry and conch salads/ fritters as the main delicacy. They serve freshly caught fish right out of the waters of Nassau, Bahamas. Fish is not the only thing served at Arawak but other seafood and popular food fare are available at good prices. This is where the locals eat, so if you are looking to make new friends and learn the secrets of Nassau, this is the place to be. This is an iconic place to have some good food and a drink located at the end of Woodes Rodgers Walk in Nassau and very near to the cruise port. Just keep walking past the straw market and you’ll see this colorful entrance of Senor Frogs! Apart from enjoying nice Caribbean food and a Pina Colada you can enjoy the music entertainment or sit at a table which offers great views of the docked cruise ships nearby. From the bar and restaurant, it’s really easy to get to Bay Street too. 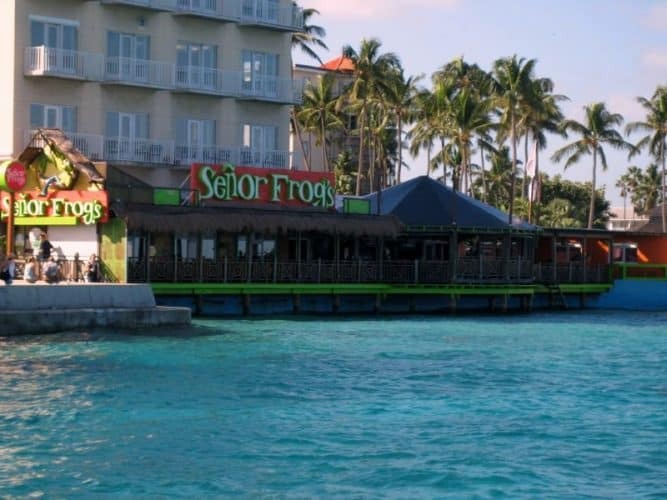 It might be worth taking advantage of a bucket of own Senor Frogs branded beer for $30, good there are a few of you. The bar and restaurant brand is well known across the Caribbean, Mexico, and Florida often seen in many cruise ports. Back on land, visit Fort Charlotte, a 17th-century fort that seats on top of a hill on the western corner of the island. The fort is about a mile away, west of the cruise ship terminal. It affords its visitors advantageous views of Paradise Island. And if you love history, you will enjoy the re-enacted history complete with actors dressed in 17th-century attire. Learn about the intriguing history of the Fort. Starting with the fact that the fort is the largest in the Bahamas, seating on 100 acres of land. It has dungeons, underground passageways, a moat, and 42 cannons. Surprisingly, the fort has never been used in battle to-date despite its obvious reason for having been built. If you’re into rum how about the famous Tortuga Caribbean Rum Cake which you can get on Amazon. The Hilton Hotel is just further up from the cruise port which is around a 10-minute walk at the most. The hotel allows visitors to use its private beach and pool area for a fee. If you’re lucky enough to be a crew member you will even get a discount. 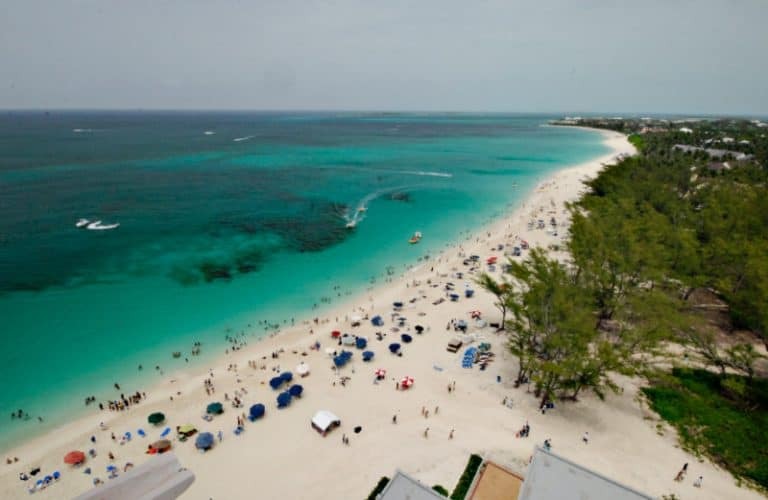 The hotel beach in Nassau, Bahamas offers some of the best views of cruise ships coming and going. There is a nice pool area with loungers to relax on along with food and drinks available for order. This place is very popular with cruise ship crew members so it must be good! Oh, and did we mention FREE wifi near the pool! You cannot say your trip to Nassau is complete without a visit to the stunning Blue Lagoon Island. This island is located 3 miles away from Nassau and though it’s close to Nassau and Paradise Island it’s well hidden and offers a great secluded experience. Officially known as salt cay, this island bears a spectacular sandbar with crystal clear turquoise waters. It’s surrounded by many lush palm trees. And truly gives off the vibe of a real tropical paradise. The lagoon is also a natural habitat for dolphins, sea lions, and native fish species. Make a point to visit this island to enjoy its perfect beaches and a relaxed vibe. And if you are an animal lover then take an extra excursion package for an encounter with dolphins. Then go learn about these amazing creatures while you feed, pet, swim and even get kissed by them. It’s an amazing lifetime opportunity that you won’t want to miss. This historical park shows the history of the Lucayans, Africans, and loyalists. Learn the sacred history of these inhabitants of the Bahamas and see how they used to live. Explore the flora and faunas on the park’s winding trails and lay on the sand at the beach to take in the beauty of the place. Snorkeling is great at Clifton heritage park. You get to see the amazing sea sculptures and sunken vessels, that are now home to a variety of fish life in the park. When your cruise ship is docked at the port at Nassau, Bahamas it is likely you’ll be next to another vessel. This provides the perfect opportunity to head up to one of the open decks and get a great shot of another cruise ship or even the cruise port area. If you consider yourself an Art connoisseur, then a visit to the National Art Gallery of the Bahamas will make your cruise trip to Nassau all the more worthwhile. The National Art Gallery is housed in an 18th-century great house called Villa Doyle. Just as beautiful and vintage as the house is, so are the art pieces found inside. The gallery is divided into rooms that have special art purposes. A visit to this place guarantees an enjoyable visual experience. Escape the hustle and bustle of Nassau and enjoy some peace and tranquility at the Primeval Forest. This 7.5 hectares of lush jungle vegetation is a haven for nature lovers. Not only is this forest adorned with tropical flora and fauna but also interesting natural limestone formations such as caverns and sinkholes. Book a guided trip of the forest and learn the history of the place while exploring the beautiful nature at its best. You have probably had a dolphin encounter, but what about a stingray experience? Visit Stingray City and meet and interact with harmless brown southern stingrays. Enjoy the gracefulness of these creatures as their silky wings caress you while they swim by you. Enjoy feeding petting and playing with these magnificent creatures. A professional photographer will capture all the memorable moments. Incredible right? You would have to try really hard to not enjoy your time in Nassau, Bahamas. All the things to do in Nassau above will give you a solid to-do list full of fun and memorable experiences. Note the list is not exhaustive and you can customize your own experience by seeking out experienced local tour guides. We also suggest to only book official shore excursions through the cruise lines. 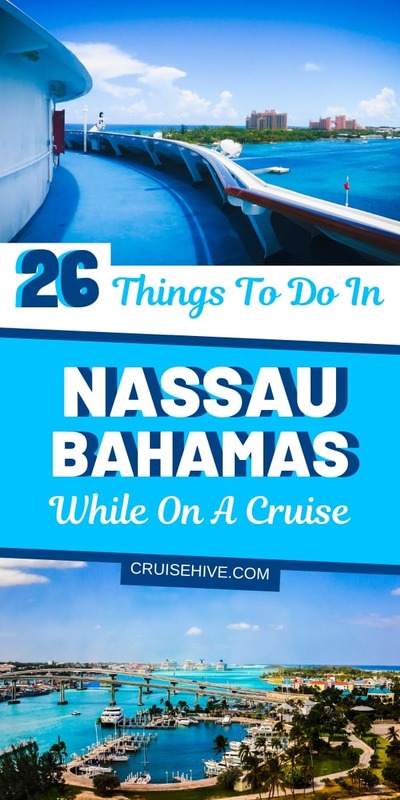 Remember to relax and have fun, if you miss out on any of these activities count it a joy because it means you will have a reason to visit the popular cruise destination of Nassau once again. That’s it from us here. Have a blast on your next cruise. Happy cruising! !